Matilda of Flanders (c. 1031-83). 11 November 1100, Westminster Abbey. 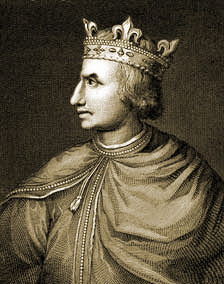 29 January 1122, Windsor Castle. 6 August 1100, Westminster Abbey. Siege of Arundel Castle, 1101. Robert of Normandy and Ranulf Flambard attempt to seize throne, February 1101. Treaty of Alton, July 1101. Henry I takes Caen and Bayeux from his brother, Robert, the Duke of Normandy, 1105. Battle of Tinchebrai, 28 September 1106. Order of Knights Templar formed, 1111 [poss. 1120]. The wreck of the White Ship which killed Henry I's heir, November 1120. Barons swear allegiance to Matilda, January 1127.